Kenny J: New York obviously isn't big enough for two versions of Spider-Man. 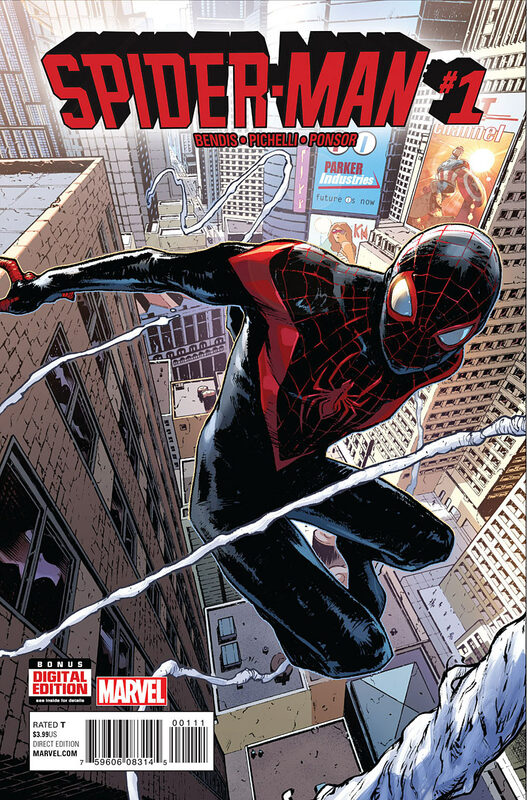 As Peter Parker flits around the world, tending to matters of science and international business, those who miss the teenage angst adventures of Spidey can hopefully take a little solace in Miles Morales. Like the Ultimate book before it, Brian Michael Bendis and Sara Pichelli bring us a wall-crawler for the 21st century and to be honest I think I prefer it. 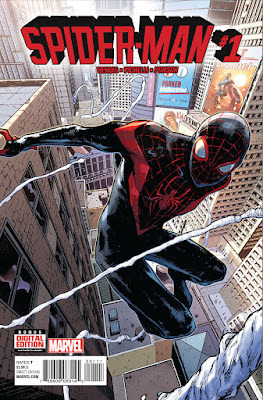 I'll definitely be taking a look at Spider-Man #1 this Wednesday to see what will befall Miles now Bendis has the toys from both universes to play with. The third instalment of Uncanny X-Men also hits stores this week. The second issue was better than the first and I'm hoping this new one continues in that vein. It was great to see Mystique and this team consists of some of my favourite X-Men. I just hope there is enough of an intriguing story to come back for a fourth chapter. Even if Marvel are once again decimating their ranks I need some mutants in my life! One book that is nowhere near being dropped is Doctor Strange. I have said it before but it needs reiterating that this is by far the most fun and imaginative book I’m reading at the moment. It seems Jason Aaron and Chris Bachalo are having a blast making it. Add to that a slowly unfolding but gripping storyline and this is my must read recommendation. Tom P: More than a decade after it was originally announced, one of comics long delayed projects, Batman: Europa, finally comes to a close with issue #4 this week. It reads very much like an old Batman comic, so perhaps that's why I like it so much. I can't wait to see how it all ends as the changing art style effectively mirrors Batman's downward spiral as he struggles to keep going after being infected with a deadly virus. Next up the underrated Paper Girls #5. I say underrated as when I talk to others about the series they don't seem to be as swept up by the nostalgia and Cliff Chiang's glorious artwork as I am. It's always possible you'll be more forgiving when you like a creative team but I do really enjoy this book! Another title I feel happy to fly the flag for is Velvet #13. I love spy stories set in Cold War, from Tinker Tailor Solider Spy, The Americans and currently the excellent Deutschland 83. I find the games of cat and mouse between the Soviet Union and the West make for fascinating stories. Velvet may not get the praise The Fade Out did but its quality and love of the genre is something I'm happy to recommend you try.